A program to recover lost passwords to Corel WordPerfect Office documents: WordPerfect (*.wpd), QuattroPro (*.qpw, *.wb?, *.wq? 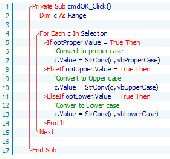 ), Paradox (*.db). All versions of WordPerfect Office and its components are supported, passwords are recovered instantly.